Find the words that can make you win an instant win of up to £150,000 coins on the reels of the highly entertaining Crossword Cash! 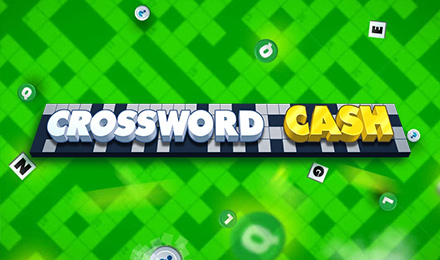 If you are a fan of crosswords then you will most probably have a blast playing the exciting Crossword Cash Instant Win game. Developed by Instant Win Gaming, this game is just about matching different letters on a grid to create words and earn great instant prizes. On the right-hand side of the screen, you will find the potential prize value that can be won according to the words. There is up to 150,000 coins to be won instantly here! Start looking for the right words that can make you win big!